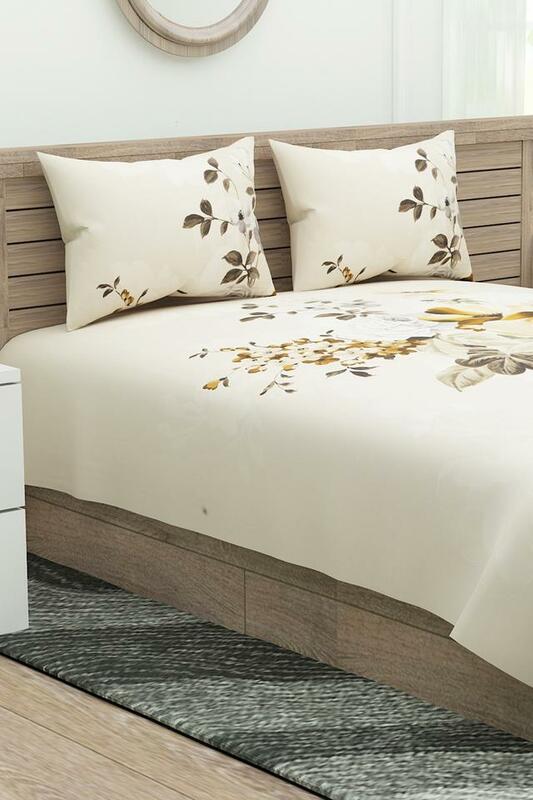 Liven up your bedroom decor by using this bed sheet and pillow cover set. 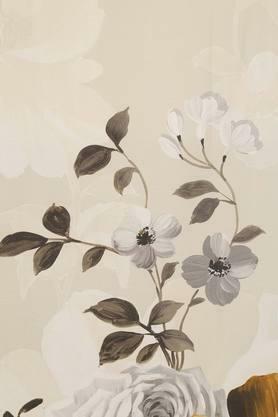 It features a floral print pattern that is further complemented by a nice combination of shades rendering it fashionable. In addition, it has been made of fine quality cotton so that you can sleep on it comfortably. 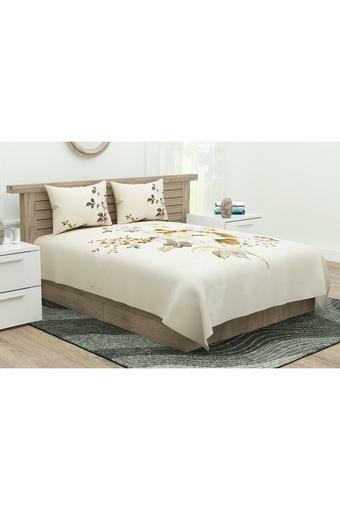 Dimensions - Bed Linen - 274 x 274 cms, Pillow Cover - 46 X 68 cms. Make a good impression on your guests with your amazing home decor skills by opting for this bed sheet and pillow cover set from D'decor.